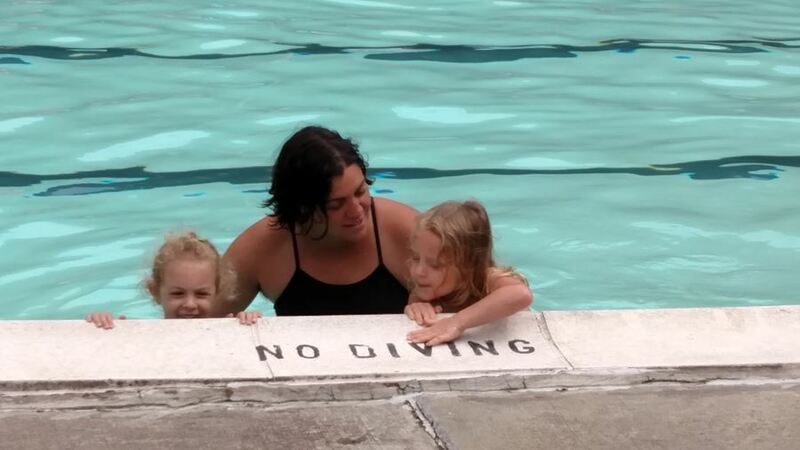 You do not have to be a current member of Zena Recreation Park to take swim lessons! All are welcome to participate! The Red Cross has developed swimming lessons for kids and adults that allow everyone the opportunity to learn in a safe environment, at their own pace. Available at Zena Recreation Park, Red Cross Learn-to-Swim classes are taught by certified, knowledgeable and caring instructors who can help swimmers at every level feel comfortable in the water and progress to the next level. At Zena Rec, our swimming classes for kids are tailored to the needs of each child, so that he or she can progress at a comfortable pace. And although some children may advance more quickly or slowly, our instructors ensure that everyone receives the instruction they need. The Learn-to-Swim program focuses on building skills one step at a time. By giving them the opportunity to master one element before moving on to the next, our kids' swim classes make it easy to build confidence in the water. For the beginner who is comfortable in the water. Swimmers learn basics of swimming: bobbing, going under water, supported front and back floating, supported rolling over from front to back and back to front, supported gliding , supported flutter kick, supported front crawl arms and jumping in. Swimmers should already be able to float on front and back and put head under water. Swimmers will work on: independent front and back floating , independent rolling over from front to back and back to front, independent front and back glides, front crawl arms and kicks, back crawl arms and kicks, retrieving underwater objects, and jumping into water over their head. Swimmers should already be comfortable swimming front stroke and swimming on their back. Swimmers will work on: gliding, freestyle with side breathing, backstroke, breast stroke and dolphin kicks, retrieving objects in deeper water, treading water, jumping into deep water and compact dives. Swimmers should already be able to: swim front and back crawl 25 yards.Swimmers will work on: rotary breathing, freestyle, backstroke, elementary backstroke, scissors kick and sidestroke, whip kick and breaststroke, intro to turning at wall, treading water with modified scissors, and diving in kneeling position. Swimmers should already be able to: swim front and back crawl 50 yds, elementary backstroke 25 yards, breaststroke 25 yards, butterfly 25 yards, sidestroke 10 yards, tread water for 3 minutes, and dive.